Ford’s entire commercial line-up in Europe will be renewed during the next 18 months. 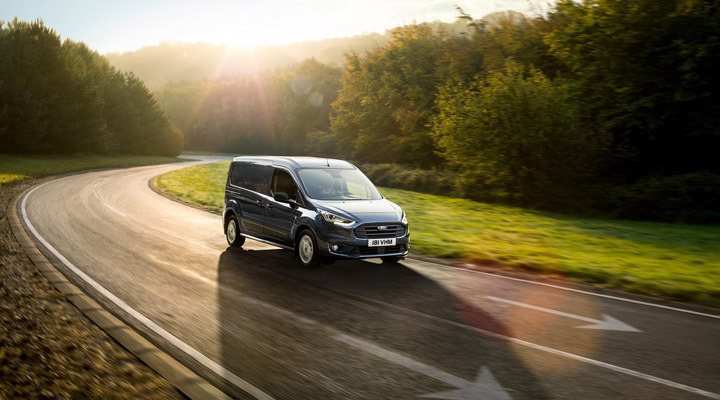 Transit Connect and Transit Courier are an important part of the latest four-model Transit family, which has driven Ford to become Europe’s No. 1-selling commercial vehicle brand, with sales exceeding 276,000 in October year-to-date, an increase of eight per cent over 2016. In the UK, both Transit Connect and Transit Courier are the best-selling commercial vehicles in their respective segments for 2017 year-to-date, with more than 20,000 sales between them – almost one quarter of total Transit nameplate sales. Featuring stylish new designs, more fuel-efficient powertrains* and advanced new driver assistance technologies, the two new Transit models will be available to order in spring 2018 for customer delivery from the middle of the year. 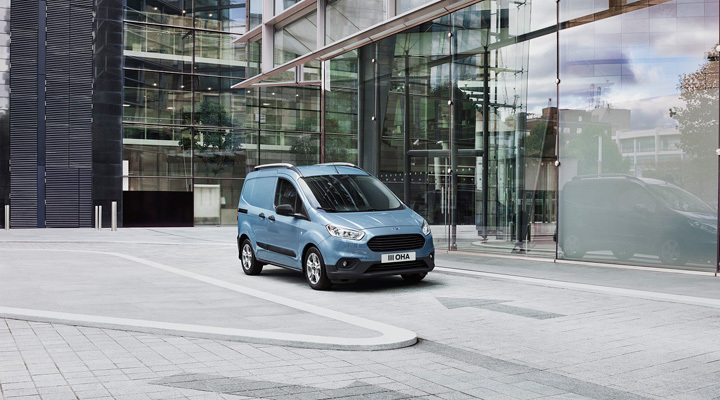 New Transit Connect introduces a smart new front-end appearance that adopts the latest Ford design DNA. An imposing three-bar Transit grille combined with slimmer headlamps – with powerful HID Xenon lamps and LED daytime running lights available on high series models, combine with a more aerodynamic lower fascia and front spoiler to deliver the fresh new look. 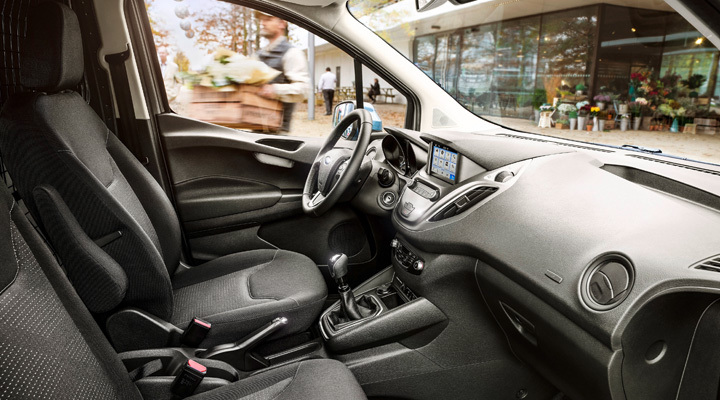 Inside the Transit Connect, an upgraded cabin features a revised instrument panel with a new central control area that incorporates a floating, tablet-inspired six-inch colour touchscreen on high series models, featuring Ford’s SYNC 3 communications and entertainment system. New trim materials provide a stylish and hard-wearing working environment for long working days in the cab. A state-of-the-art new powertrain line-up provides enhanced fuel-efficiency, while achieving Euro 6.2 emissions standards. Ford’s all-new 1.5-litre EcoBlue diesel engine combines the latest fuel injection, turbocharging and emission-control technologies with a low-friction engine design to deliver improved performance alongside reduced fuel-consumption. For customers requiring a petrol option, new Transit Connect offers an advanced new version of the multi-award-winning 1.0-litre EcoBoost engine, which incorporates significant changes to the cylinder head, fuel injection and emission-control systems to provide further improvements in fuel-efficiency. New technologies also include cylinder deactivation, which enables the engine to run on two cylinders at low loads, to reduce pumping losses and improve fuel-efficiency. An upgraded six-speed manual transmission is now fitted to all engines as standard. The 1.5‑litre EcoBlue engine can also be specified with an advanced new eight-speed automatic transmission, which has been engineered to deliver optimised fuel-efficiency alongside responsive performance and smooth, swift gearshifts. To minimise overall cost of ownership, service intervals have been extended on both diesel and petrol variants, with manual diesel vehicles now offering best-in-class variable intervals of up to two years/25,000 miles. The longer service intervals contribute to scheduled maintenance and non-scheduled repair costs that are significantly lower than the primary competition, according to Ford analysis. The new Transit Connect introduces a comprehensive range of segment-first driver assistance features including Intelligent Speed Limiter – that enables automatic adjustment of maximum vehicle speed to remain within legal limits, the Pre-Collision Assist with Pedestrian Detection emergency braking system, Side Wind Stabilisation, and Active Park Assist that helps to steer the vehicle into both parallel and perpendicular parking spaces. Like the outgoing model, new Transit Connect offers commercial vehicle operators an outstanding breadth of capabilities, with short and long wheelbase options providing load volumes up to 3.6 m3 (VDA), payload capacity ranging from 520-890 kg, and bodystyles including van, kombi and double-cab-in-van. The Transit Courier is the smallest member of Ford’s Transit family, and the new model brings a refreshed front-end appearance that incorporates a reshaped grille opening and revised design for the lower fascia. The cabin features a redesigned centre console design for enhanced ergonomics, including a new, larger six-inch colour touchscreen with Ford’s SYNC 3 communications and entertainment system that is available on higher series models, and positioned closer to the driver for improved visibility and ease-of-use. Meeting the latest Euro 6.2 emissions standards, the updated powertrain line-up offers customers the choice of fuel-efficient 1.5-litre TDCi diesel and 1.0-litre EcoBoost petrol engines. All vehicles feature Ford’s all-new six-speed manual transmission in place of the outgoing model’s five-speed gearbox, offering improved shift quality, refinement and contributing to better real-world fuel-efficiency. New Transit Courier offers urban van operators a payload capacity ranging from 500-590 kg, load volumes up to 2.4 m3 (VDA), and a choice of van and kombi bodystyles. The series line-up now also includes a new Limited variant, providing customers with an alternative to the dynamic Sport model at the top of the range. Further information about the new Transit Connect and Transit Courier models, including fuel consumption and performance data, will be published closer to the launch of the vehicles in 2018. Next : What will do you, with your Carpenters Mate screw?